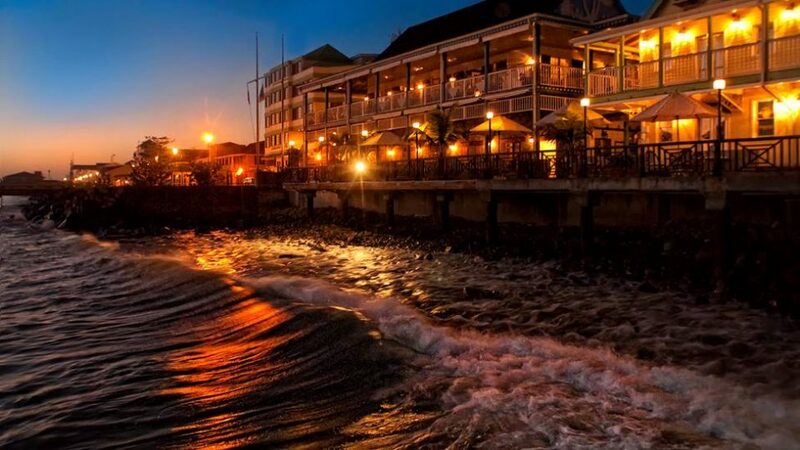 Fort Young Hotel - Caribbean & Co.
First built in 1699, the Fort Young Hotel is located next to the Caribbean Sea and a mere 5 minutes’ drive from Roseau City in Dominica offering on-site dining, a spa, and an outdoor pool. Each of the 73 guestrooms at Fort Young Hotel features a terrace or balcony offering the most dramatic sea and sunset views you can imagine. Guests can enjoy water sports such as diving. They can relax in the hot tub, play tennis or work out in the fitness center. They can also visit the on-site duty-free shops. Fort Young’s rooms are contemporary as they are fully air-conditioned, equipped with ceiling fans, direct dial telephones, cable TV, wifi and wired Internet. Plus they include a safety deposit box and a ceiling fan. Oceanfront rooms are available. The Waterfront Restaurant is open daily for breakfast, lunch, and dinner. Marquis Restaurant serves a dinner buffet with Caribbean specialties. Balas Bar is also on site. The Dominica Museum is just 200 meters from this hotel. Morne Trois Pitons National Park and Victoria Falls are less than 30 minutes’ drive away.